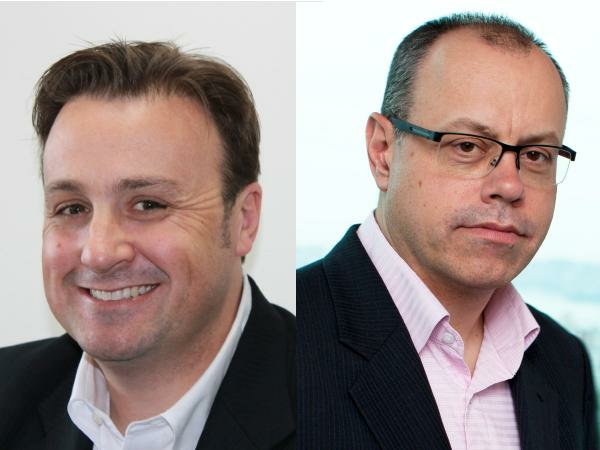 Former Ruckus Wireless A/NZ managing director, Patrick Devlin and former Brocade A/NZ, managing director, Gary Denman. The soon to be combined Brocade and Ruckus Wireless are facing leadership turmoil following the departure of managing directors of both companies. The two are in the process of merging following a $US1.2 billion dollar deal signed in April 2016. Gary Denman stepped down as A/NZ managing director of Brocade on June 10 and the company is currently looking for a replacement, a company spokesperson confirmed with ARN. Denman has joined Intel Security as managing director A/NZ, according to his LinkedIn profile. The company has been without a local chief since the departure of Keith Buckley in February. Brocade vice-president of Asia-Pacific and Japan, Adam Judd, who holds overall leadership responsibility for the APJ region, will be overseeing the A/NZ portfolio, both directly and through designated directors in the region until Denman’s replacement can be found. “Brocade would like to take this opportunity to thank Denman for his dedication and hard work during his time with the company. Brocade’s investment of time and resources in the A/NZ region as a strategic market essential to building its success in APJ and globally, will continue unabated,” a company statement said. Ruckus managing director, Pat Devlin, has also parted ways with the recently acquired company. “Patrick Devlin has decided to relinquish his role as the managing director for A/NZ and Pacific Islands at Ruckus Wireless,” the company said in a statement. “Pat has made several contributions in growing the Ruckus Wireless business in the A/NZ region since he joined the company two years ago. We wish him the very best for his next venture. His last day at Ruckus Wireless will be the 5 July 2016. The dual exodus has left the soon to be merged company with a problem. How will it manage the merger locally without regional leaders and how will it impact the hire of a local boss for the merged entity once the acquisition is complete?